From PEZ, a candy expo is born. If the idea of rows and rows of PEZ, M&Ms and more has your mouth watering, then you are in for a true treat this weekend. The Northeast Candy Collector Expo is happening in Stamford on Saturday. It’s the first one of its kind, the Stamford Times reports. The roots of this sweet idea are in Orange, home to the ever-popular PEZ since 1973. The PEZ expo grew and grew and then PEZ collectors decided to expand the expo to include candy lovers of all kinds, the Times reports. PEZ is a truly international treat, first marketed as a compressed peppermint candy more than 70 years ago in Vienna, Austria and named after the German word for peppermint... PfeffErminZ. So it should be of little surprise that people come from all over. The Times found people from as far away as Austria and Slovenia. 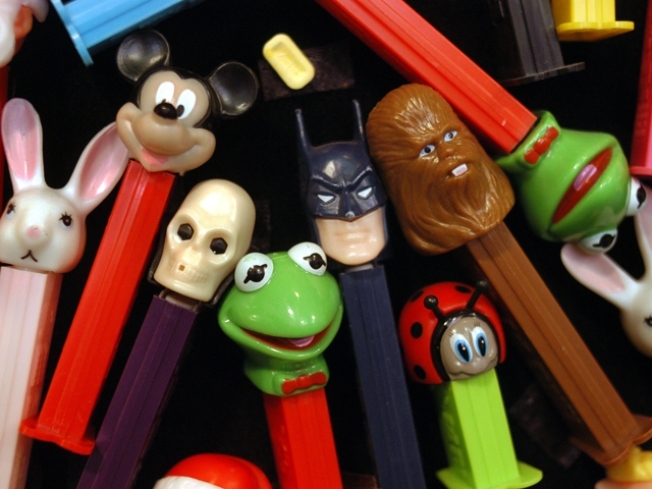 To date, PEZ has made about 300 different dispensers that range from cartoon characters and historical figures to superheroes and sports figures. The expo happens on Saturday, from 10 a.m. until 3 p.m. at Stamford Plaza Hotel, 2701 Summer St. in Stamford.